The melt-bolt thermocouple illustrated below is made of 300 series stainless steel and is constructed using a fiberglass insulated element. This style of thermocouple is used on extruders and injection molding machines to directly measure the melt temperature of plastic as it moves down the extruder barrel. 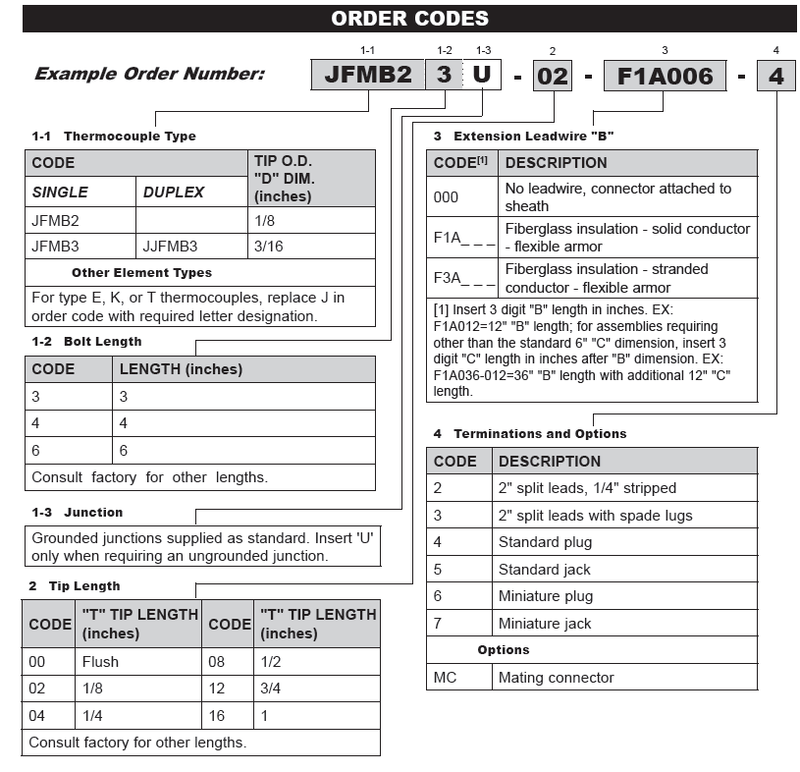 Please call us at (800) 446-4316 or contact us here for a quote or for thermocouple selection assistance.